In his photographs of the corner of a room that is characterised at least as much by the absence of people, objects, and spatial features as by the distinctiveness of its design, Hannes Meyer gave expression to a radical, anti-bourgeois style of interior. Architecture and design were not meant to fulfil historically determined needs but to overcome these very constraints. 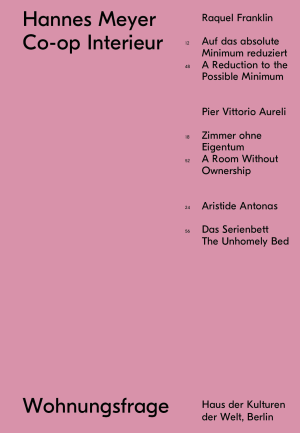 Meyer’s Co-op Interieur was not a recommendation for a mode of interior design but rather a manifesto proclaiming an alternative principle of housing and “living” and, by extension, a new world. As the two parallel publications of that year intimate, Meyer sought to position this motif of a sparsely furnished interior as the illustration of an idea. With the photo of a room, distinguished as much by the absence of people, objects, and spatial characteristics, as it is by the uniqueness of its design, he was articulating a radical, anti-bourgeois lifestyle: rather than serving to gratify needs shaped historically, architecture and design were now the means to overcome precisely these constraints. What Behne interpreted as a matter of taste, constituted a general standard for Meyer. For Co-op. Interieur was not the draft of an interior design, but a manifesto for a different principle of living and thus for a new world. 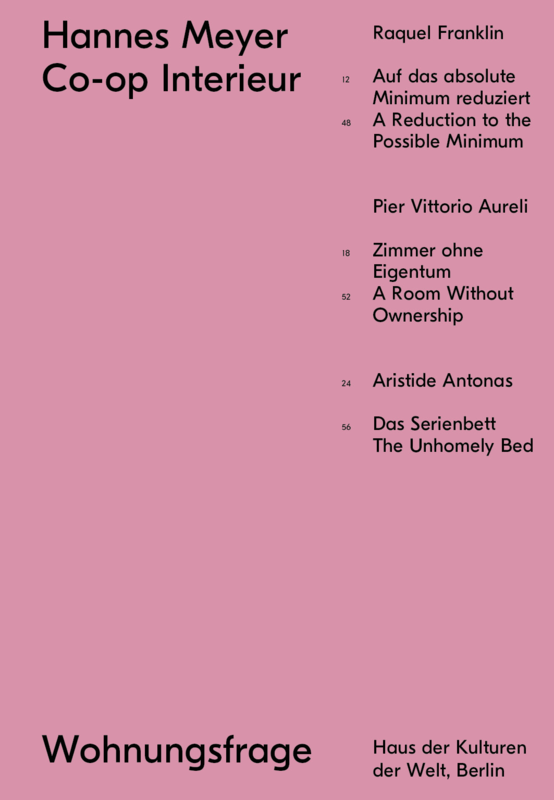 Featuring a critique of the image by Raquel Franklin, together with essays by Aristide Antonas and Pier Vittorio Aureli, this volume discusses how, by invaginating this new world into the corner of a room, the principles of collectivity and utility are represented as counterpoints to private property.